France has summoned Italy’s ambassador to protest against comments by Italian Deputy Prime Minister Luigi Di Maio, who accused Paris of continuing to colonise Africa and causing people to migrate from the continent, a government source told AFP. The ambassador was summoned Monday after the “unacceptable and groundless” comments by Di Maio on Sunday (20 January), a source in the cabinet of France’s Europe Minister Natalie Loiseau told AFP on condition of anonymity. 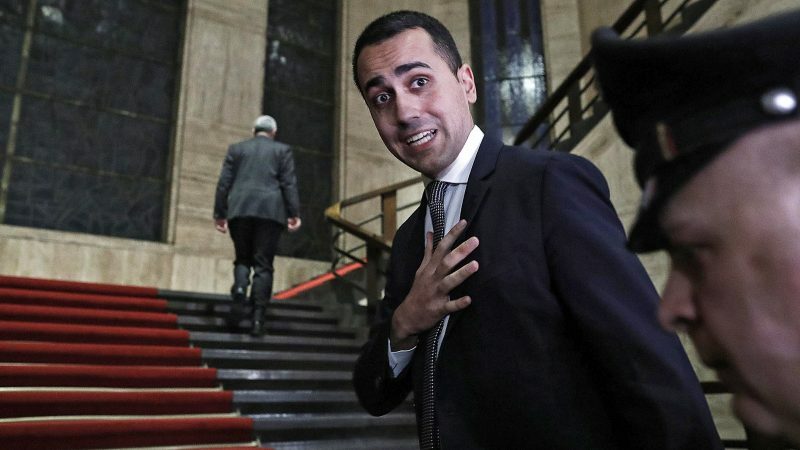 “The EU should sanction France and all countries like France that impoverish Africa and make these people leave, because Africans should be in Africa, not at the bottom of the Mediterranean,” Di Maio said. “If people are leaving today it’s because European countries, France above all, have never stopped colonising dozens of African countries,” added the leader of the Five Star Movement (M5S), which governs alongside the far-right League party. Responding to the summoning of his Paris ambassador, Di Maio dismissed the idea of a “diplomatic incident” between the two countries. “France is one of these countries which, because it prints the currency of 14 African countries, hampers development and contributes to the departure of refugees,” he said, citing a refrain commonly heard among some leftist and anti-imperialist activists. The International Organization for Migration said this weekend that more than 100 people were feared missing after a boat carrying migrants capsized off the coast of Libya. The Italian navy flew three survivors to the Mediterranean island of Lampedusa. Italy has closed its ports to rescue boats operated by charities in the Mediterranean under a new hardline approach to immigration. After making comments criticising the Italian government and its approach to immigration last year, Macron and the French government have since largely avoided entering into a war of words with Rome. But relations between the two capitals, usually close EU allies, have deteriorated since the M5S-League coalition became the European Union’s first populist-only government in June last year. Di Maio and fellow Deputy Prime Minister Matteo Salvini, from the League party, recently backed “yellow vest” protesters who have been demonstrating against Macron’s government since November. 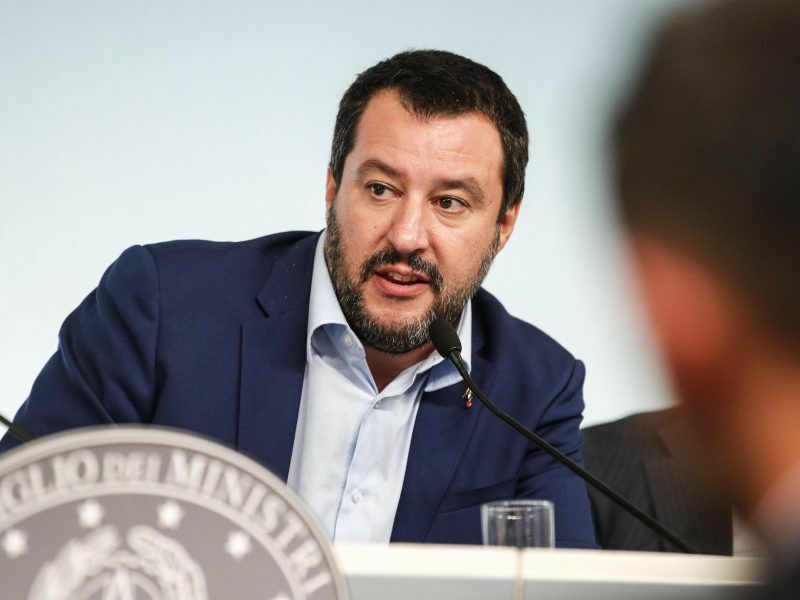 Italy’s far right Deputy Prime Minister Matteo Salvini branded French President Macron “international shame” on Tuesday (16 October) for the French police having driven two migrants across its border and dumping them in Italy.